How do you know if your training is making your conditioning any better? Why is it important to track your conditioning? 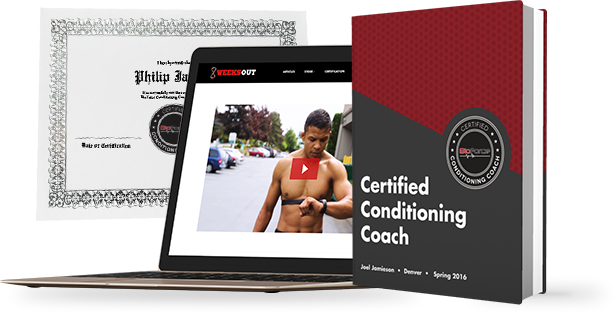 This webcast answers these questions and more, giving you the tools to find out exactly how good your conditioning really is. Whether you’re training for competition or just to feel great, I’ll show you how you can get more out of your workouts with just a few simple steps. Why Should You Track Your Conditioning? Test: identify the area(s) you need to work on so you can choose the correct methods, exercises, volumes, and intensities to improve. Train: actually do the exercises and follow the program created in the previous step. Track: monitor your performance to identify if the training program is working and make changes as necessary to see the best results possible. Any program can look good on paper, but that doesn’t mean that it’s going to get you the best results. There are stressors outside of what you do in the gym that affect your ability to recover. It’s important that you track and adjust your training in response to what’s happening in the dynamic, real world environment instead of your best-case, written program. The bottom line: without tracking, it’s too easy to waste time (often weeks) following a program that isn’t working for you. Don’t wait 8 ,10, or 12 weeks to see if your program did what you thought it would. Conditioning should be improving on a weekly basis, and the only way to ensure that it is, is by tracking and adjusting. This raises the question: how do you track conditioning in the first place? To understand how HR recovery is a measure of conditioning, you have to know a little bit about how the autonomic nervous system (ANS) works. A bare bones explanation is that the ANS has two systems that you use all the time without thinking about them: the sympathetic “fight or flight” system and the parasympathetic “rest and digest” system. The sympathetic system is the stress response system and it’s responsible for increasing energy production—it’s catabolic. It largely fuels anaerobic metabolism. The parasympathetic system is almost entirely aerobically driven and promotes energy storage—it’s anabolic. 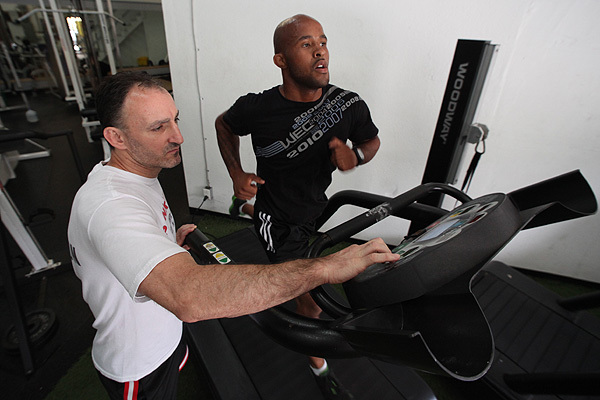 As you train at higher intensities, the amount of energy you have to produce increases. This shifts your ANS toward sympathetic dominance. A research paper by Buchheit et al shows that athletes who performed high intensity repeat sprints (predominantly anaerobic) had much lower heart rate recovery after 60 seconds than athletes who performed moderate intensity activity (predominantly aerobic) with the same caloric expenditure. What this tell us is that heart rate recovery is greater for aerobic activity than for sympathetically-driven anaerobic activity. The more efficient you are at producing energy aerobically instead of relying on your anaerobic system, the longer you will be able to sustain a given activity. Put another way, the greater your heart rate recovery between bouts of activity, the greater your conditioning. Measure your HR for 60 seconds in between high-intensity efforts or following a single, all-out effort. Keep track of this HR recovery number so you can compare one week against the next to gauge improvement. You can use this tracking strategy with general exercises—such as the bike, treadmill, or rower—or with exercises that are specific to your sport or activity. For sport-specific HR recovery, make sure you take your measurement in the same resting position as your sport/activity (e.g. sitting for football or standing for soccer). A useful tool for measuring HR recovery is the Polar team app (if you’re coaching others) or the Polar Beat app (if you’re training yourself). Both of these apps require a Polar H6 or H7 heart rate monitor. If you have another brand of Bluetooth-compatible monitor, I recommend using the Motifit app. As your conditioning increases, your HR at a steady output will decrease. This is because you don’t have to work as hard to achieve the same level of power output. The key to using this tracking strategy is to train on a machine with a speed or power output indicator, such as a bike, treadmill, rower, or VersaClimber. As a general guideline, you should aim for a power output that corresponds to around 70-80% of your max HR for 3-5 minutes. Track your average HR for that power output. The following week, train at the same power output and compare your average HR. If your conditioning is improving, your average HR should decrease. This indicates that you have improved your energy expenditure efficiency, i.e. you can do the same amount of work with less exertion. Research has shown that HRV strongly correlates to aerobic fitness, VO2max, the ability to recover—i.e. the hallmarks of conditioning. As HRV increases, aerobic fitness and adaptability also increase. Look at the weekly average of your daily HRV measurements to see how it’s changing. This provides a clear indicator of whether or not your conditioning is improving, staying the same, or decreasing. For more information about HRV training and how to use it to improve your fitness, I’ve put together a free video course: The HRV Training Revolution. You can get instant access to the course here. Measuring Improvement: What Change is Meaningful? Now that you know the 3 tracking strategies, you need to be able to discern conditioning progress from normal fluctuations in physiology. This table contains the meaningful changes you would expect to see for an increase in conditioning, but what if you are overreaching or overtraining? You would see the same amount of change but in the opposite direction of what the table shows. This would be a serious indication that there’s a problem with some part of your training program. However, if you’re tracking your conditioning each week as you should be, you can make adjustments, recover, and start making progress without too much of a setback. When it comes to applying the 3 tracking strategies, the first thing you should do is evaluate changes in HR recovery from one week compared to the next. This is an extremely simple way to gauge conditioning progress. It will also help you determine when it’s time to rotate out exercises or increase the volume or intensity to stimulate further improvement. Once a week—preferably the first day of the week when you’re fresh—you should also perform a 3-5 minute constant power output test and evaluate your average HR and HR recovery. Take this measurement during your warm-up period. Make sure to take your daily HRV measurements so you can look for an increase in your average HRV on a weekly basis. Remember to look for the meaningful changes in all 3 of the measures; don’t get distracted by small, normal fluctuations. Having this information and being able to make small, necessary adjustments to your training is what will help you achieve long-term results.